Park providing a clubhouse, open field, fly fishing area, picnic tables & benches, a playground and splash pad, and tennis courts. Great Park! Nice size grassy area for the little ones to exhaust their energy. Multiple ponds filled with ducks & turtles. A playground, tennis court, area for the children to ride their bikes, and a clubhouse. Very close to Starbucks & Wholefoods. Making this park the perfect picnic spot. 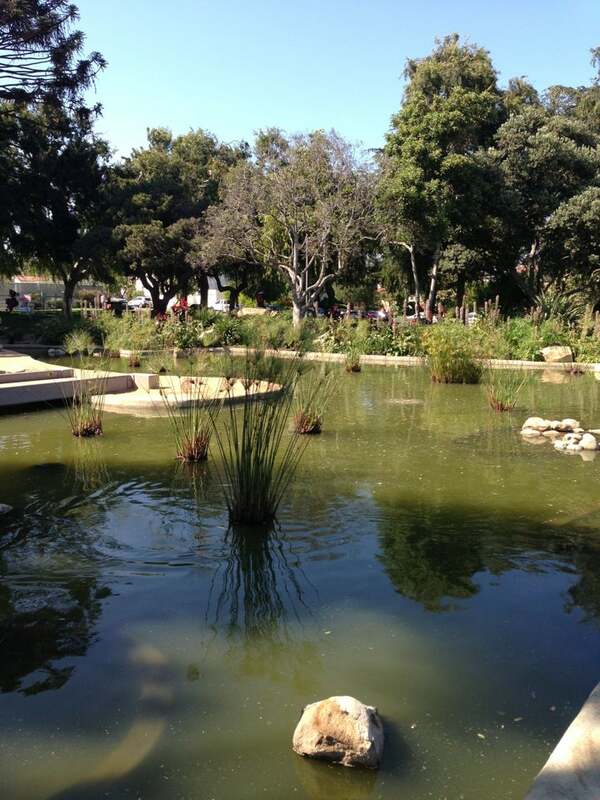 The best park we've found on the westside for toddlers! Love this park! The ducks and turtles are such fun!